This week the annual Israel tours for 16-year olds leave for their 3.5 weeks of immersion there. Five FPS young people (including my Ruben) will leave on Sunday with their LJY-Netzer group and leaders (including one leader Rosa Slater, daughter of Miriam Dwek FPS member). Last year’s tour was led by FPS member Jonty Leibowitz. We are good customers. They meet at Luton Airport at 8.30 pm perhaps travelling during the World Cup final, just one taste of many collisions of commitment they may experience in their life time. 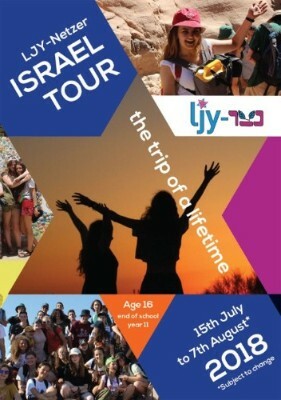 Israel tour is considered 'a rite of passage' or some describe it as 'the best month of my life’. It is an opportunity to teach love for and connection to the land alongside a rigorous and thoughtful understanding of the politics there and the people who live alongside fighting for their own self determination. It is a complex set of emotions to which our young people will be exposed. Last week we learned RSY-Netzer ‘released’ one of their tour leaders just days before the tour was to leave. Nina Morris-Evans had spent the last year in Israel, with deep commitment and devotion to Israel, grown out of her synagogue FRS and RSY-Netzer youth movement. She had also been involved, along with several young people from our Progressive movements, at a demonstration outside Parliament for the Palestinian civilian deaths at last month's violent demonstrations when the Trump administration moved their embassy to Jerusalem. They also called for an end to occupation. It was political, outspoken and extreme and perhaps naive. None of us deny that. But Nina’s dismissal is sad, and has caused her an inordinate amount of grief and abuse on social media from fellow Jews. That is wrong and I am ashamed for what she is experiencing. As we send our young people to Israel, I hope we are ready for multiple views and nuanced love for our ‘unruly but beloved relative’. There must be room for it in our movement and our Judaism. We want to raise thoughtful, loving and engaged young people who have an integrated way of seeing their Judaism, their Zionism and their humanity; and learn how to express different views to each other. It is a challenge, but one to which I am committed.